Book a Sa Pa holiday package on Expedia today! This is one of the simplest ways of saving cash and time for your incredible adventure. If you book a package deal on Expedia, you can save as much as 80%*. With more than 400 partner airlines and 321,000 worldwide properties, our exhaustive database can get you to where you want to be. Need more time to decide? There is no extra fee from us if you change almost any reservation. Itinerary looking a little empty? 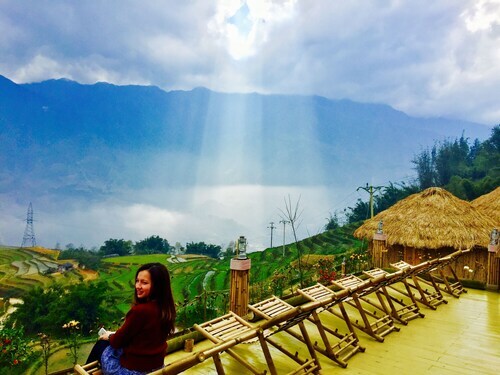 Sa Pa holiday all organised but not sure what's on the cards when you reach there? Let us make it easy. Eager to add some deeper meaning to your holiday? Make a pilgrimage to Sapa Cathedral. Regardless of your beliefs, it's the perfect place to discover a little about the local religion. There's a fabulous range of things to do in this destination. Got money to spend? Browse the stalls for hidden keepsakes and snare some irresistible bargains at Sapa Market. Still got some time to spare? Keep your eyes open for birds and other animals as you go for a walk around Sapa Lake. This expanse of water is a critical part of the ecosystem. We all know you don't take time off work to sit in a metal tube and sleep in a strange bed. Holidays are all about the adventures you have while you're there! If you'd like to take a look at all the activities on offer, head to the Sa Pa things to do page. While Sa Pa does have around 41 accommodations to choose from, it's always better to secure a room beforehand. Not sure where to start? Expedia is here to help with your cheap holiday or luxury getaway. 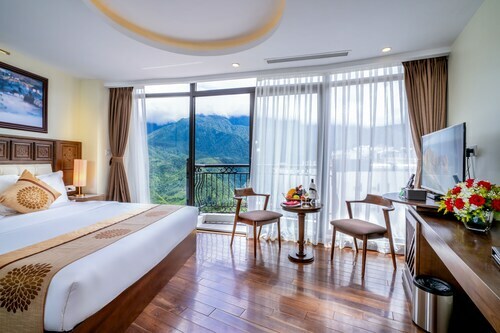 The Victoria Sapa Resort & Spa (Xuan Vien Street) and the AMAZING HOTEL SAPA (Dong Loi road, Sapa City Centre) are two of the higher-quality choices in Sa Pa. Stay at either and you're bound to have the nicest rooms in town. If you've added up the numbers and these are out of your price range, don't worry — we have some more affordable options. 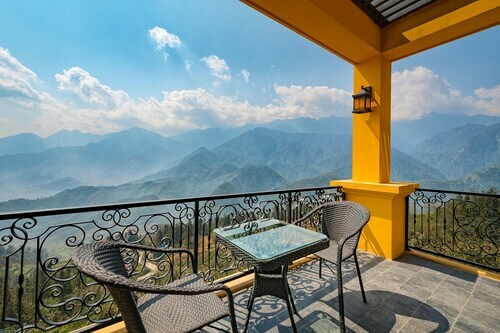 Check out the Anise Sapa Hotel (Xuan Vien Street) and the Elysian Sapa Hotel (38 Cau May Street). If you're arriving by plane, it's likely that you'll be starting your adventure at Dien Bien Phu Airport (DIN). Once you've retrieved your luggage from the carousel and headed out of the terminal, the centre of Sa Pa will be waiting 85 miles (137 km) away. Excellent room, extremely comfortable bed and very very friendly service. Excellent service at reception plus Bell boy waited outside the other lane to carry our luggages all the way up to our room.Hotel was in a small lane but no issue.worth to pay alit more to have mountain view .good value n recommended.